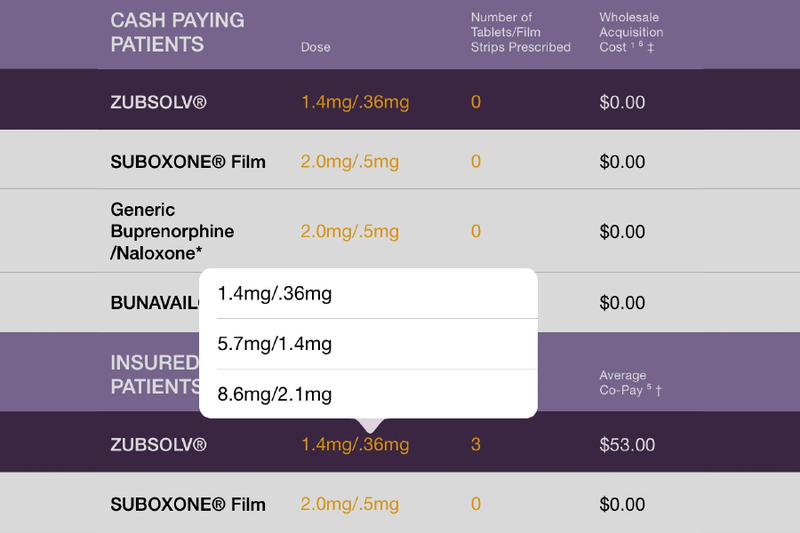 Zubsolv was in need of an application that its drug representatives could utilize in the field to showcase its pricing variations. The key selling point in this marketing application was their custom pricing model. This model allows a drug representative to compare Zubsolv pricing with multiple competitors at once. 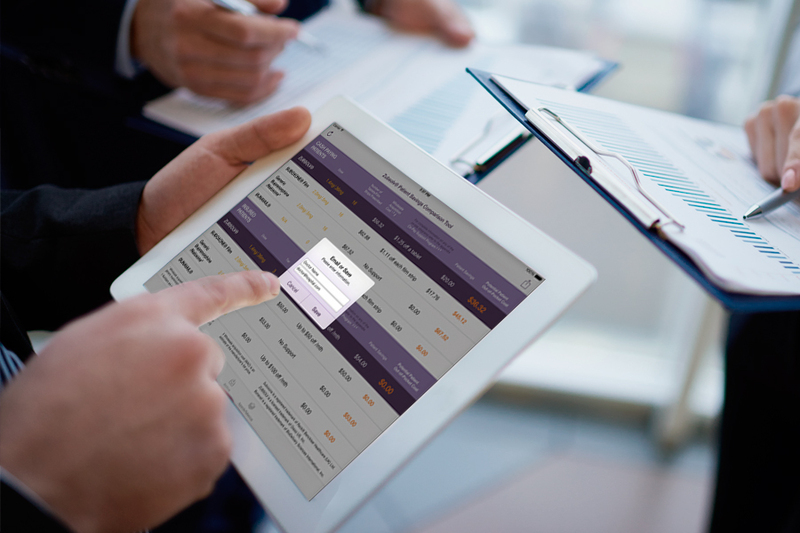 The Zubsolv Comparison Tool allows drug representatives to toggle dosage and quantity. Then, it calculates the cost and displays their competitors equivalent calculations. Once a comparison is completed the drug representative has the ability to email a copy of the comparison directly within the application. The comparison can also be stored for later use without a network connection.